Little House on the Prairie is a drama series that has a special place within the hearts of Americans and several others around the world. 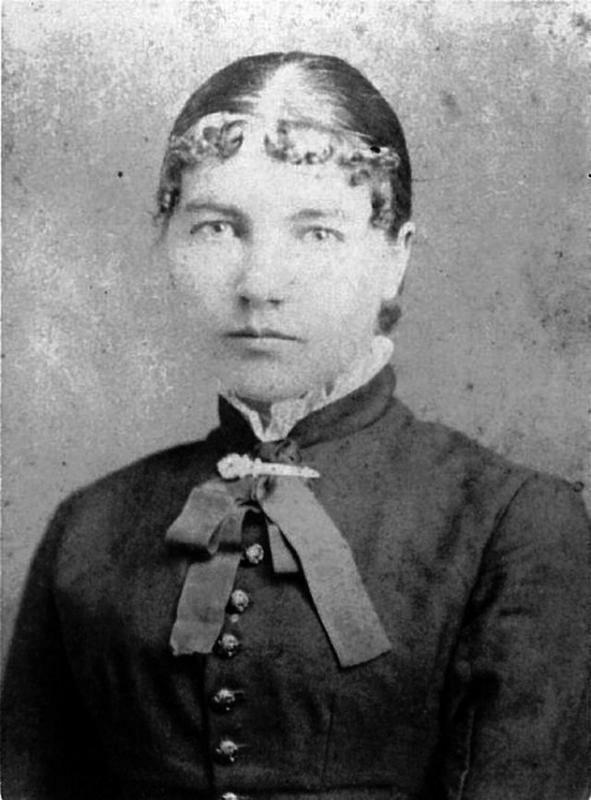 Laura Ingalls Wilder’s plot based on her real-life story of growing up, amidst the struggles of the Midwest in the late 19th century, have touched generations of readers and viewers all around the world. They may be fictional, but the book series and the popular TV show draw heavily on the author’s real life and family. 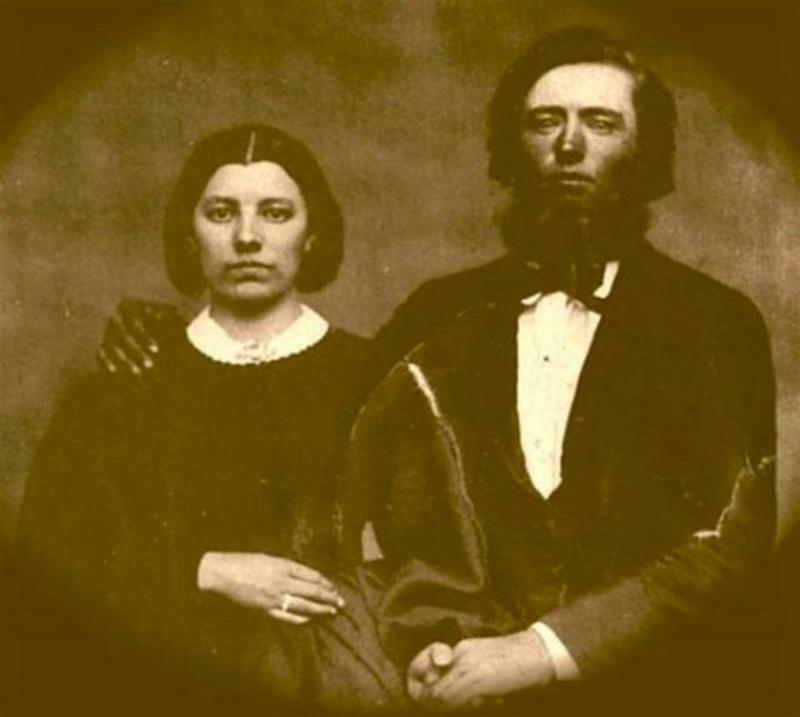 Charles and Caroline Ingalls, the original "Ma" and "Pa" from Little House on the Prairie, on their wedding day, February 1, 1860. Charles, born in 1836, spent most of his youth in tallgrass prairie from Campton Township, a few miles west of Elgin, Illinois. 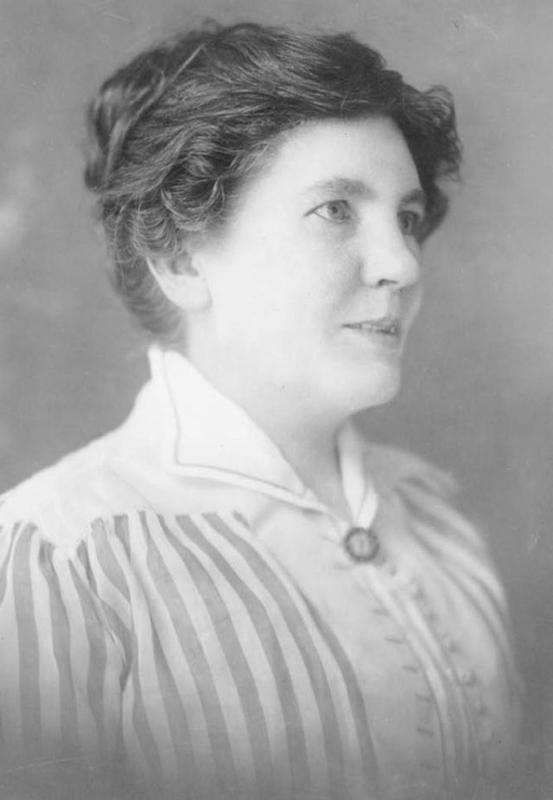 He met and instantly married Caroline Lake Quiner, 21, who was working that time as a schoolteacher. They made a home in Pepin County, Wisconsin and had their first born daughter, Mary Amelia, by January 1865. This was followed by the birth of their second child Laura in February 1867. Despite being lively and outgoing man, Charles wasn't sociable, but he had an insatiable wanderlust. During 1869, before Laura had her 2nd birthday, he moved his family to Missouri, then to a town near Independence, Kansas today. This was where their third daughter named Carrie was born in 1870. 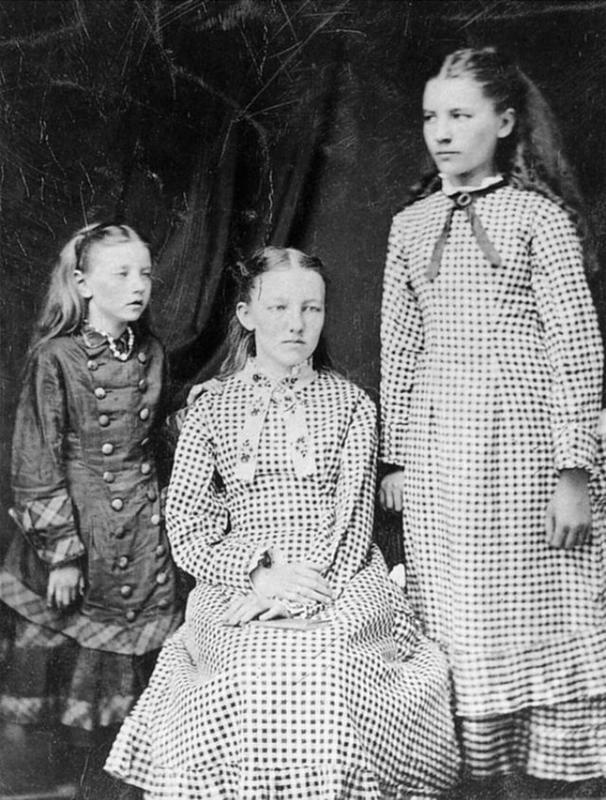 From left to right: Carrie, Mary, and Laura Ingalls around 1882. Mary had lost her sight three years earlier. 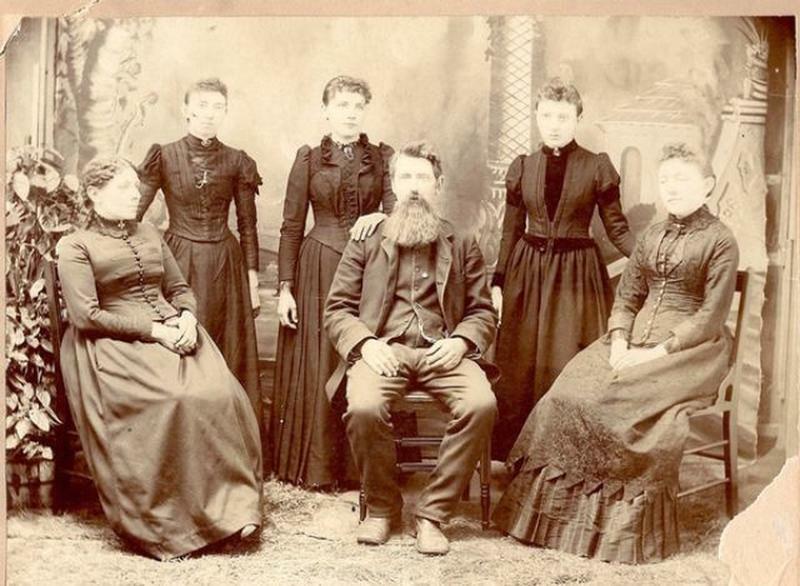 The Ingalls would soon realize that settlers were not welcomed in the Kansas land, so for the next few years, the family spent some time in Wisconsin, Minnesota, and Iowa. 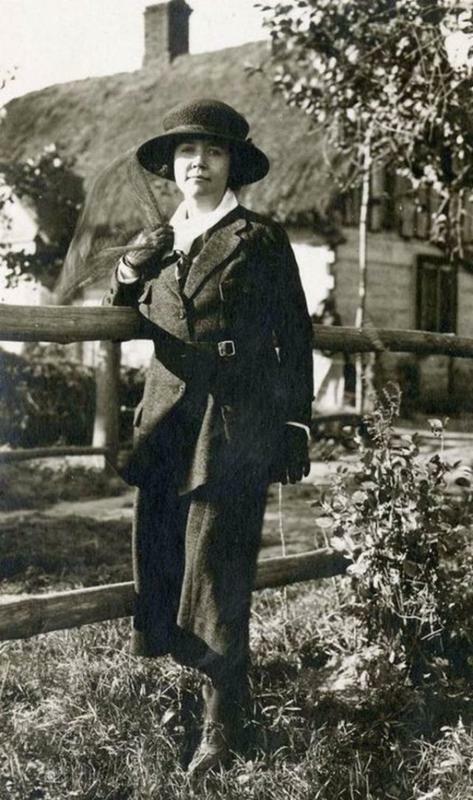 Their 4th child, Grace Pearl, was born in May of 1877, and the family was having difficulty making ends meet. So Charles took a job in 1879, as a clerk and bookkeeper with the railroad within Dakota Territory. This prompted them move to the town of De Smet by 1880. The next winter's terrible storms and bad conditions would be the basis for one of the novels entitled, The Long Winter. Laura immediately got involved with their life in the newly-formed and thriving town of De Smet. 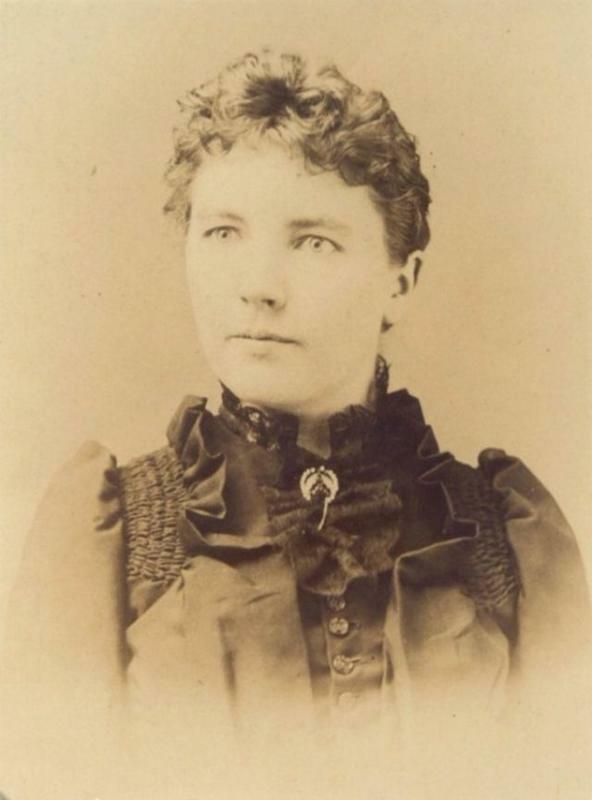 She was able to attend school, made friends, and achieved her teaching certificate, which then enabled her to start teaching in 1882, exactly two months before her 16th birthday! Meanwhile, Almanzo Wilder began courting her. Wilder is a young homesteader whom Laura called "Manly". Though 10 years older, Almanzo fell deeply in love with young Laura and would drive her to and fro De Smet and the town where she was teaching which is 12 miles away. 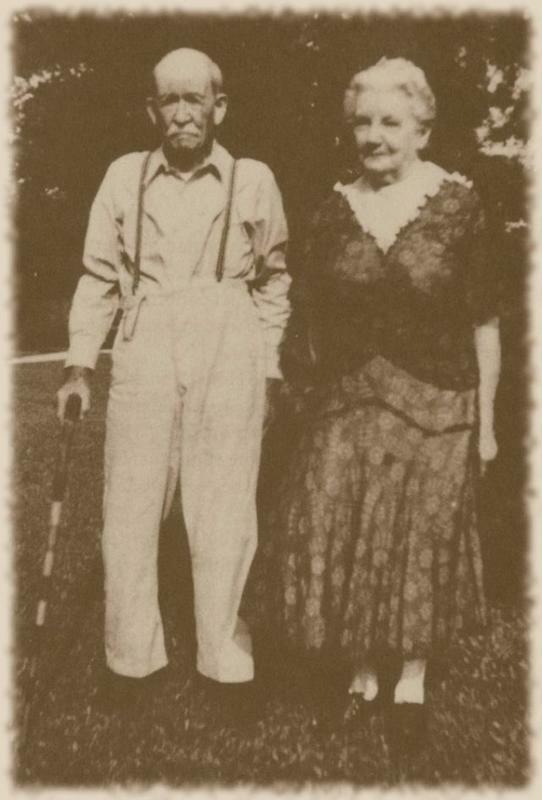 Eventually, they married in 1885 and settled to live on the Wilder's claim, soon they began their life as farmers. 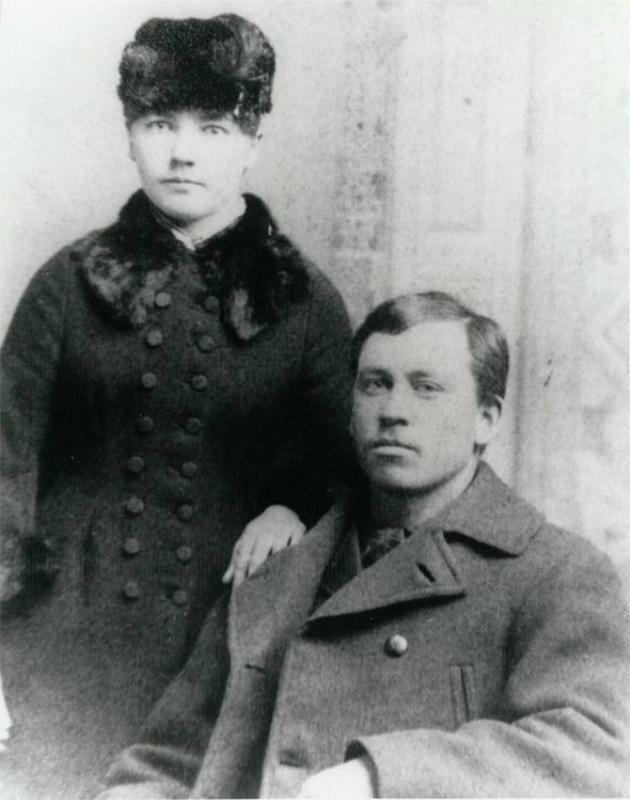 Laura and Almanzo in their first year of marriage, likely 1885 or 1886. From left to right: Caroline ("Ma"), Carrie, Laura, Charles ("Pa"), Grace, and Mary. The family then took 1890 and 1891 to rest and recover. The photos taken from a studio session in 1891 would show Laura was of good health and great vitality at the end of her rest. This early 1891 picture of Laura captures her return to good health. Though Almanzo was still struggling, Laura helped carry on work, and also kept their ears to the ground for new opportunities. By October 1891, Laura, Almanzo, and their child Rose traveled to Florida with the hope that the warm weather would help Almanzo's health and farming. As you can see from the photo above, Laura surely didn't love it. She could barely endure the humidity and weather, and so the family moved back eventually to De Smet, South Dakota in August 1892. 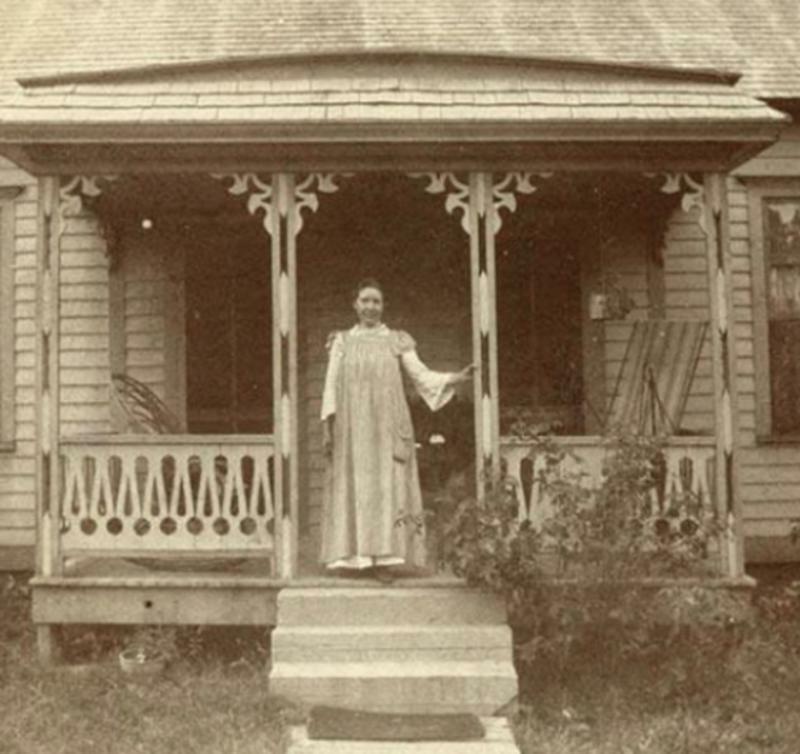 A young Laura Ingalls Wilder on the porch of her rented home in Mansfield, Missouri around 1898. They were back in De Smet for a short time after the disastrous foray to Florida, then the family quickly transferred to Mansfield, Missouri by covered wagon. Almanzo paid $100 as down payment to purchase 40 acres of hilly, rocky land which, in her stories, Laura would name "Rocky Ridge Farm". Eventually, this farm would be developed and would serve as the couple's final home for the rest of their lives. 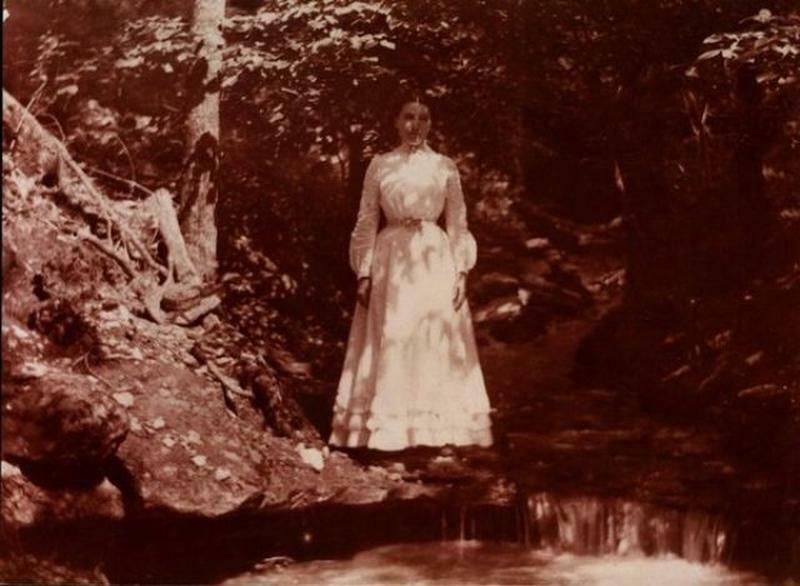 Laura Ingalls Wilder in the ravine at Rocky Ridge Farm in 1900 at the age of 33. 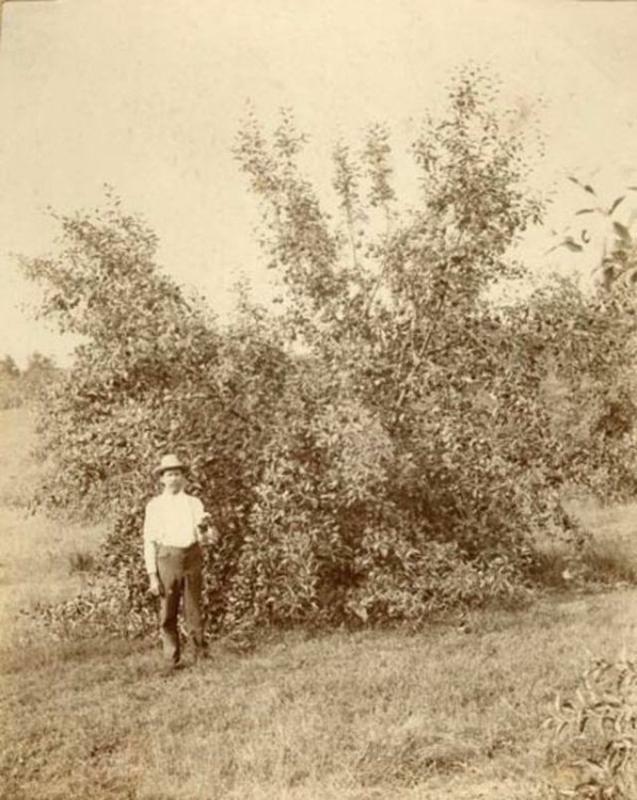 400 apple trees was quickly planted by Laura and Almanzo on the farm, but it took seven years to bear fruit. The family sustained their daily living by hauling wagon loads and through selling firewood in Mansfield. Also, Almanzo's parents chipped in. They rented a home in Mansfield and thereafter, bought it and gave the deed to their son. 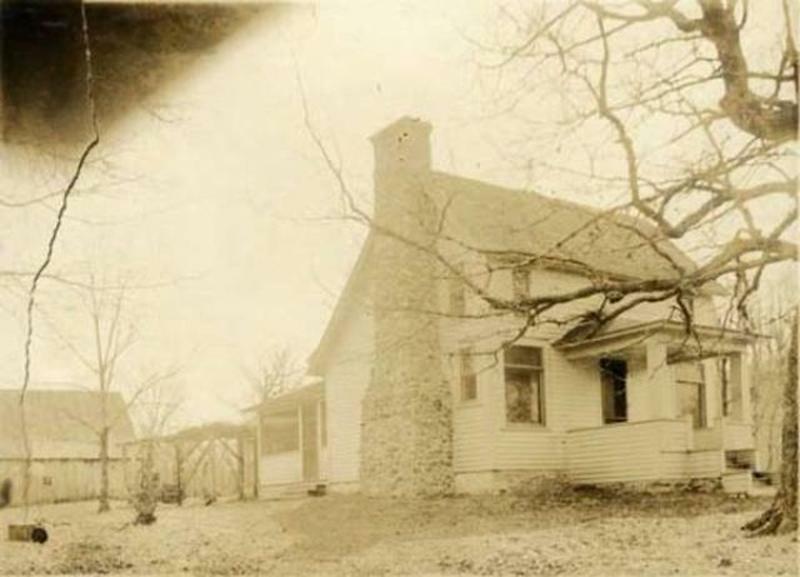 They would live there until 1910, when they relocaed to Rocky Ridge and built their farmhouse. Almanzo "haying" at Rocky Ridge Farm with their horses, Buck and Billy. 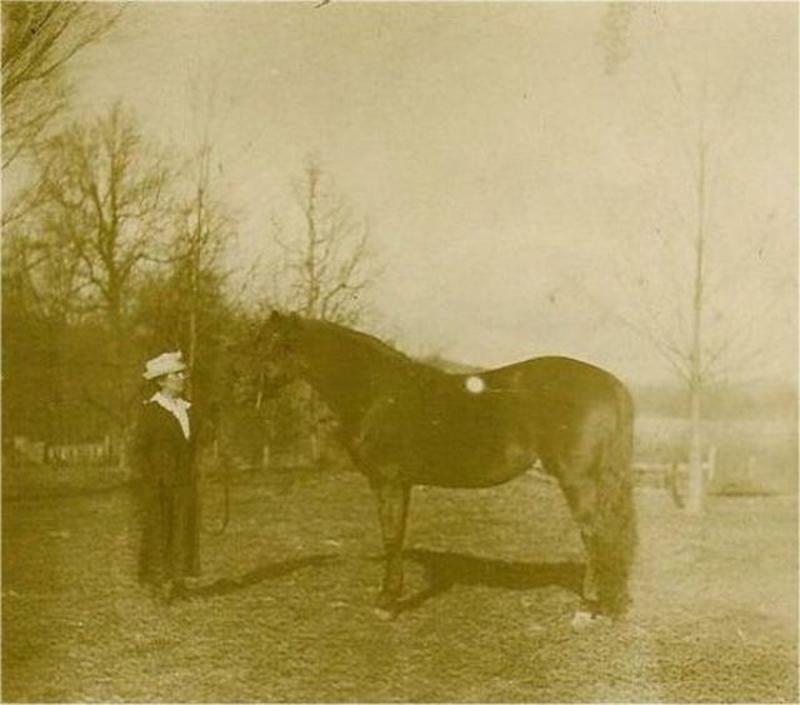 Laura with One of Her Horses Named Governor of Orleans. 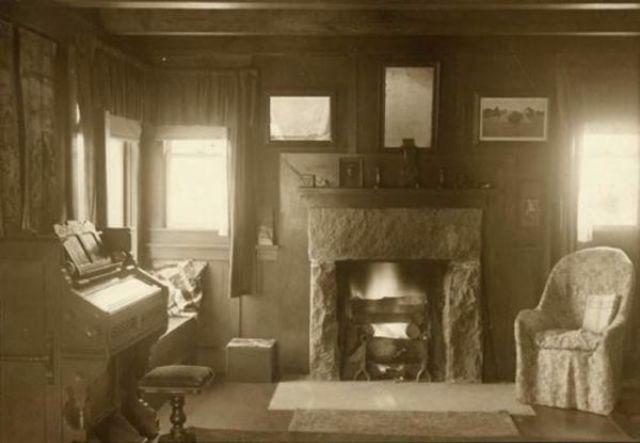 This photo of their living room shows how proud they must have been. It also gives you a sense of what would become a great house for writing! 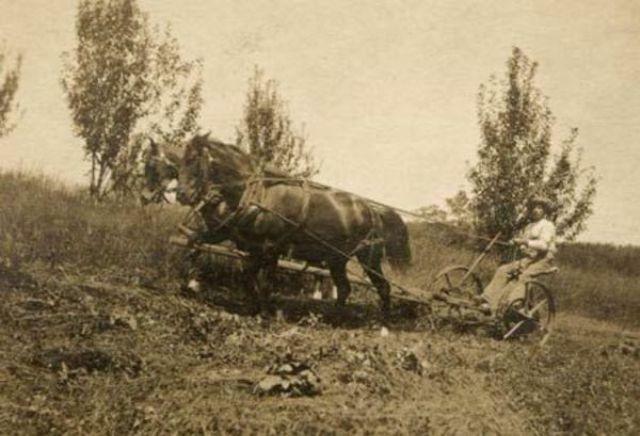 Laura and Almanzo were able to experience more comfort than they'd ever had as their farm progressed. Concurrently, their daughter Rose was traveling, and also working as a telegraph operator in Kansas City. In time, she would move West and had a job as a writer for a newspaper. Yes, that's right! Laura's daughter became a popular writer first before Laura even started writing her first article or story! Laura's first daughter Rose was thriving in Kansas City, and we are lucky to have this picture from her 1906 visit to see her. It is quite comparable to the photos from Laura's youth. 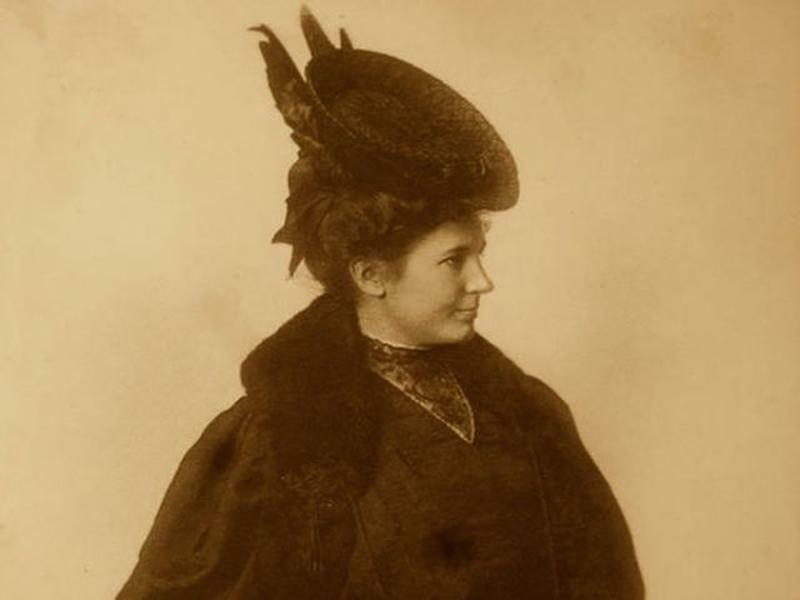 In 1911, Laura was requested to write for the Missouri Ruralist, and her success here as a writer eventually led to her becoming a constant columnist and editor. She was able to build a loyal audience and her salary in writing combined with the abundant income from the farm afforded their small family a stable living. When Stock Market Crashed by 1929, it wiped the Wilder's money, this event urged Laura to explore and start writing a series of memoirs to save their family. 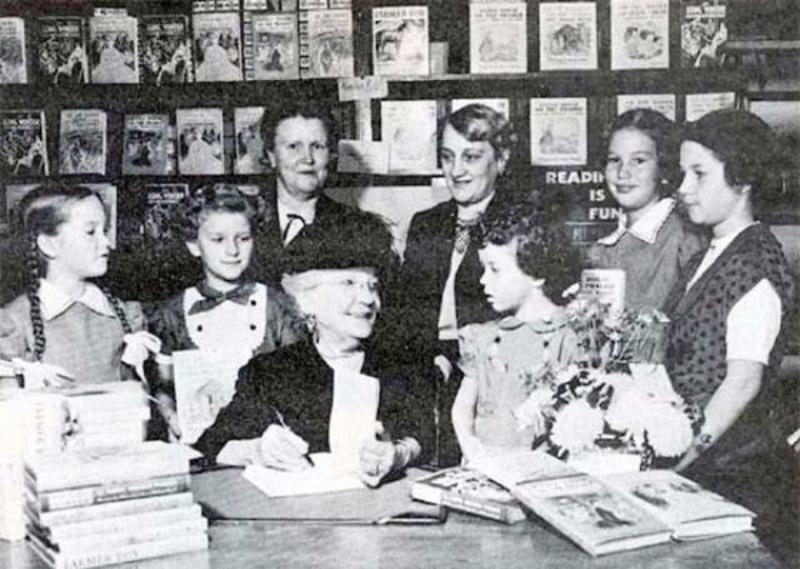 She had already written the basics of Pioneer Girl, and with the advice of her publisher and successful daughter; indeed, Laura sat down and began writing Little House in the Big Woods. And because the book was a success, Wilder went on to write the Little House series. From 1935 onwards, the Wilders lived on Rocky Ridge Farm freely and without any financial worries. 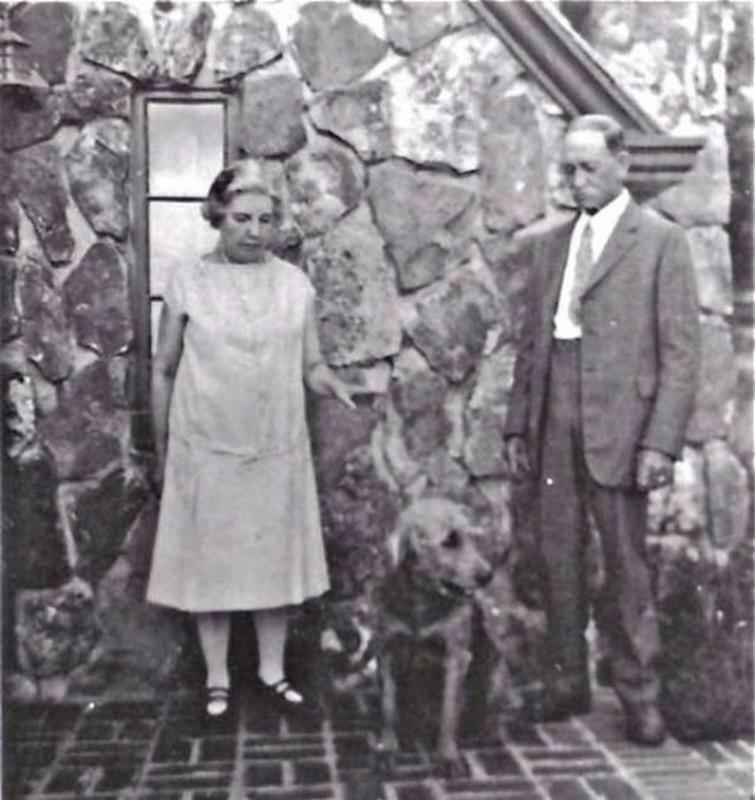 Laura Ingalls Wilder, her husband Almanzo and their dog Nero at Rocky Ridge Farm in Mansfield, Missouri, in the early 1930s, when Laura was writing the Little House books. The couple lived a long and prosperous life together. In later years, they sold some parts of the farm, but they kept some farm animals and also tended their flower and vegetable gardens. Almanzo died in 1949 when he was 92 years old. Then for the next eight years, Laura would be living alone on the farm, overseen by a close circle of friends and neighbors. On February 10, 1957, she passed away in her sleep, only three days after her 90th birthday.